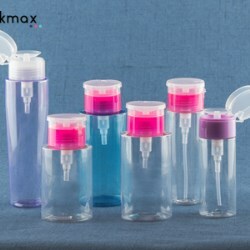 The bottles are made from PET, pumps are metal none contact liquid. 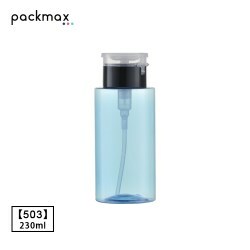 Capacity varies from 100ml, 150ml, 170ml, 200ml, 210ml up to 230ml. 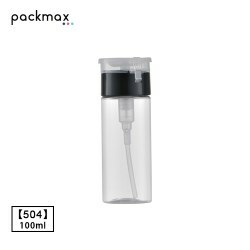 Pump and bottle can sale separated. 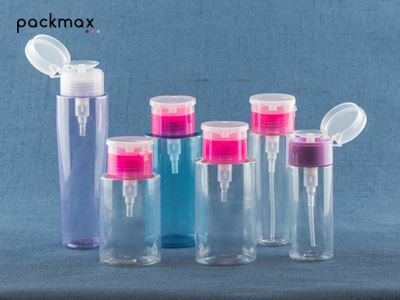 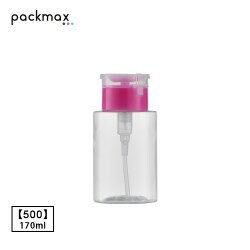 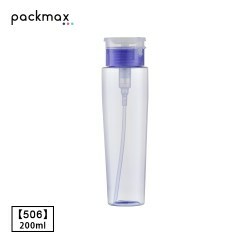 For more information of the pump please go to http://www.packmax.cn/html/xmal/hb/arc/21.html. 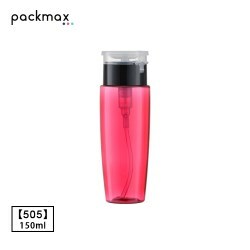 Besides Customized bottle is possible, just ask us and we are glad to let you have all the information.